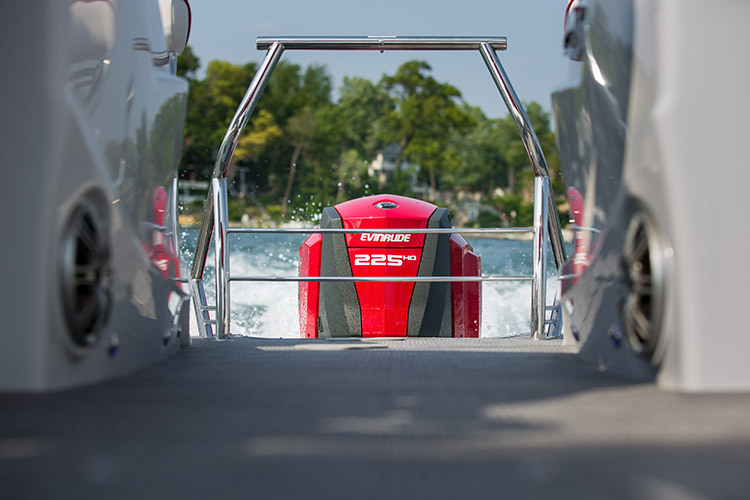 A Whole lot of Performance and Luxury. 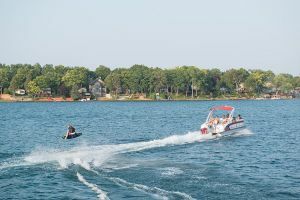 A Heck of a lot of Fun. 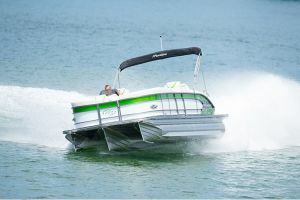 Fun, fast, and incredibly exciting! 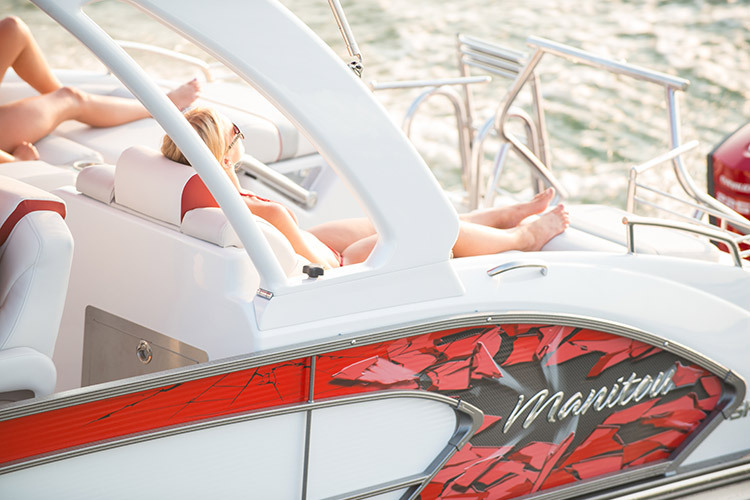 The Manitou X-plode combines relentless performance and refined comfort to deliver a one-of-a-kind experience. 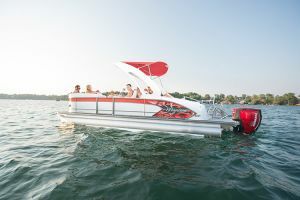 One that screams speed boat as much as it does pontoon. 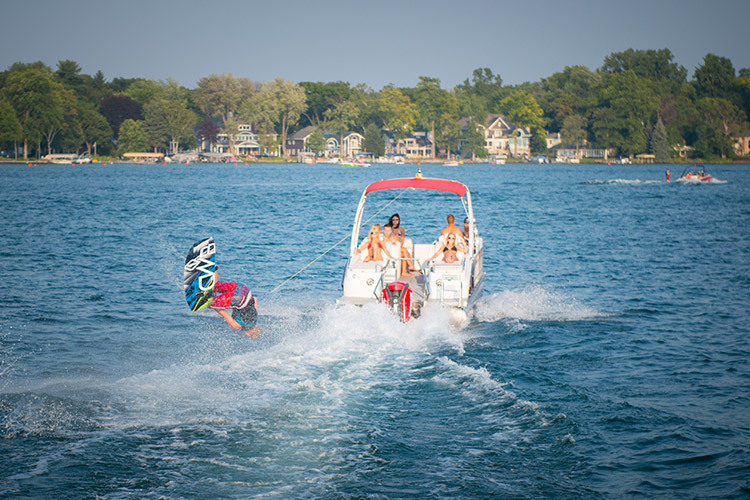 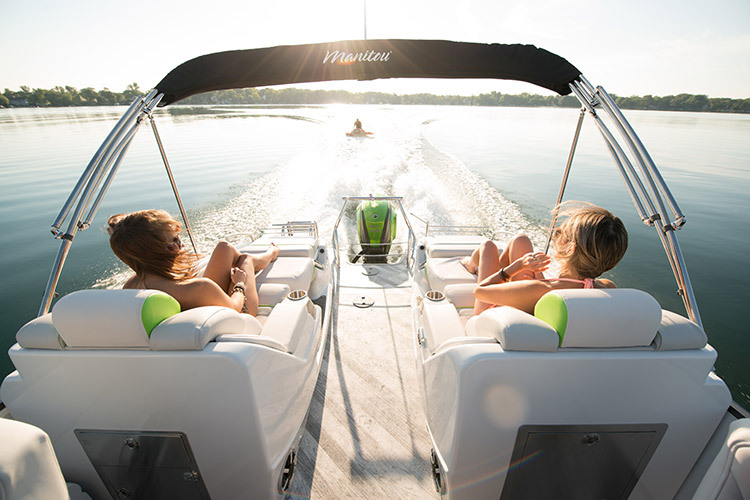 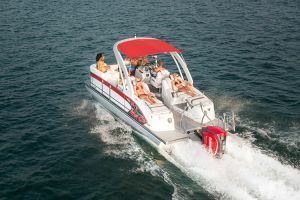 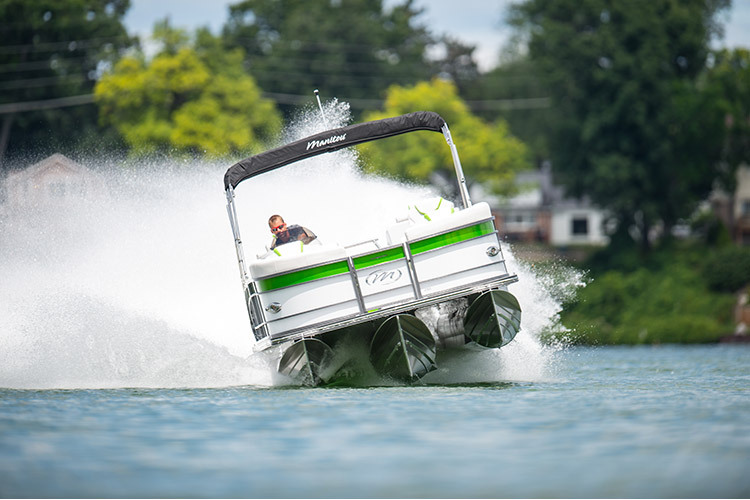 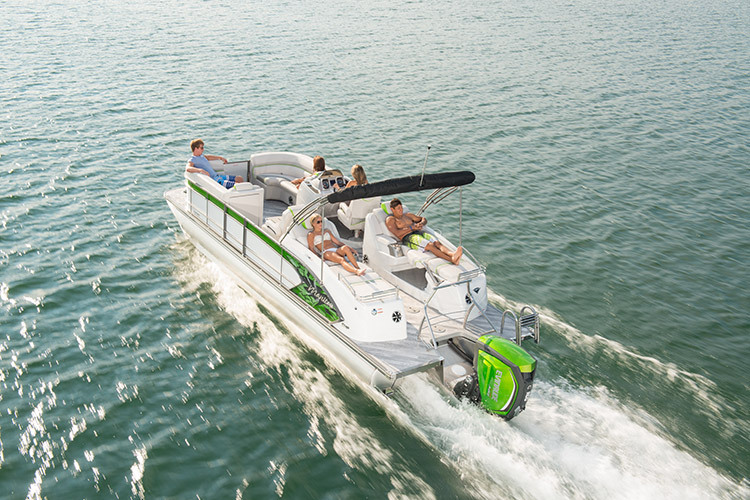 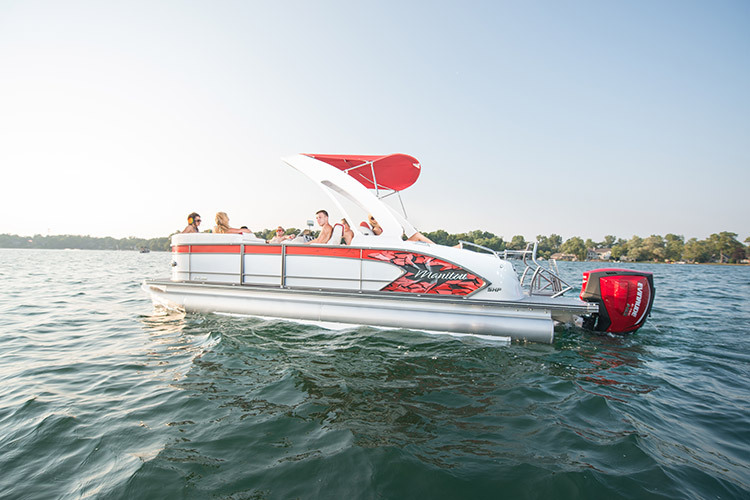 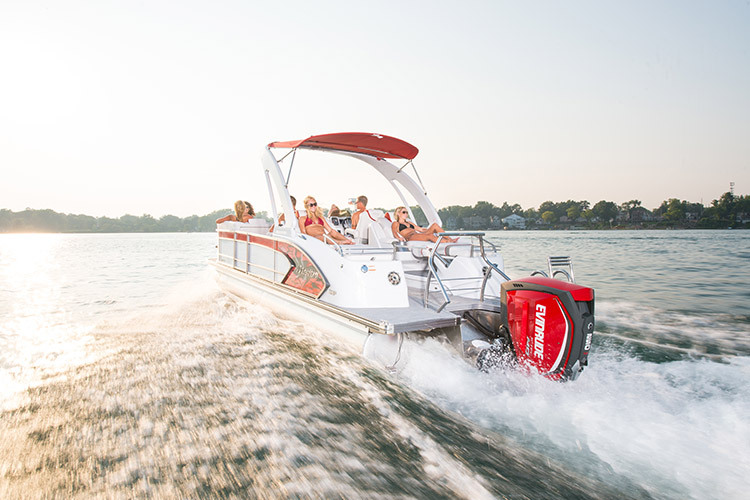 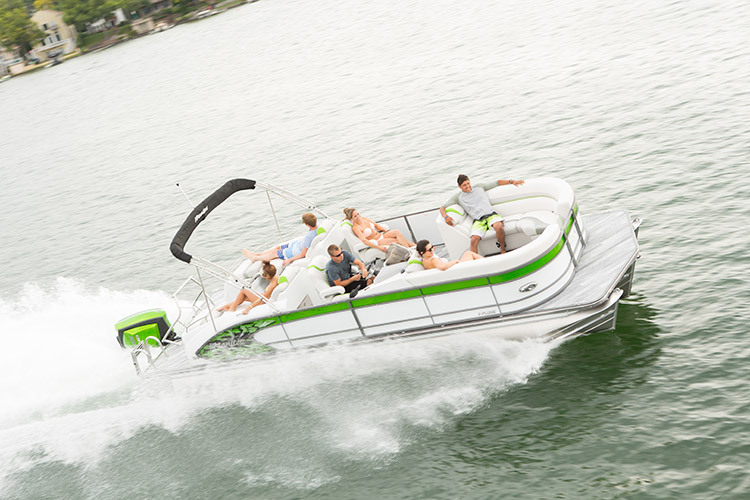 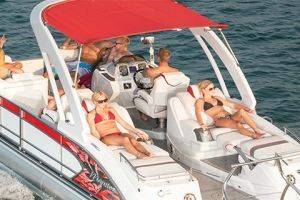 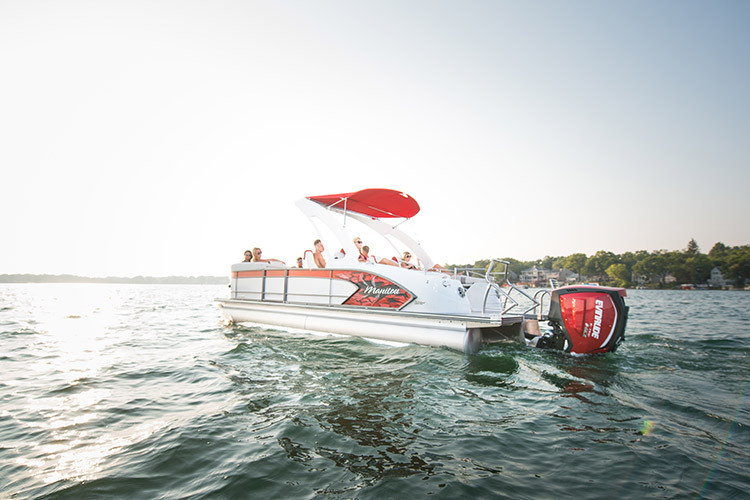 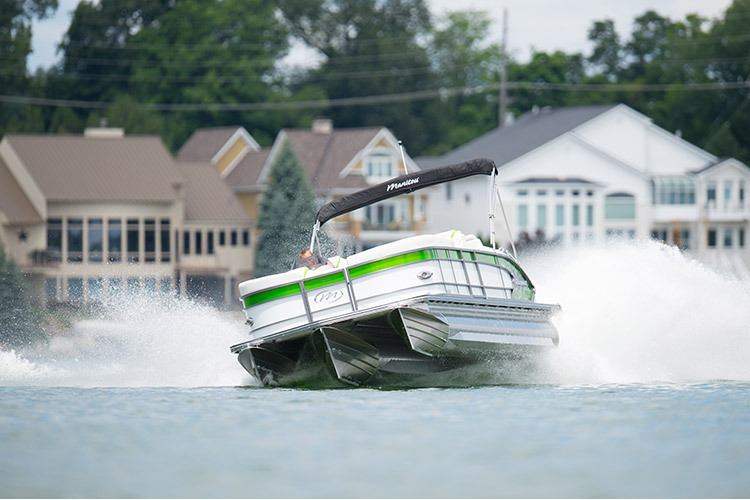 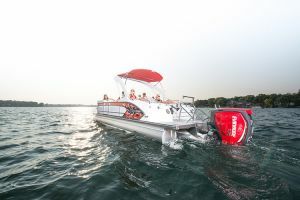 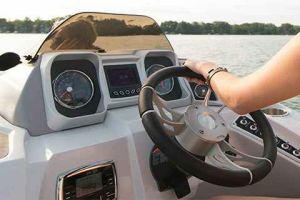 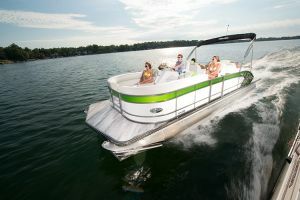 Distinctive color options and an aggressive V-Toon® stance make the X-plode a stand-out performer on the water, and an absolute blast to own and drive. 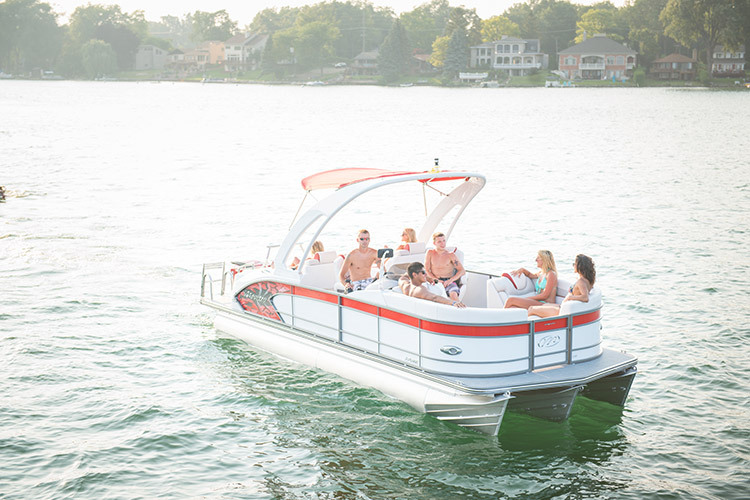 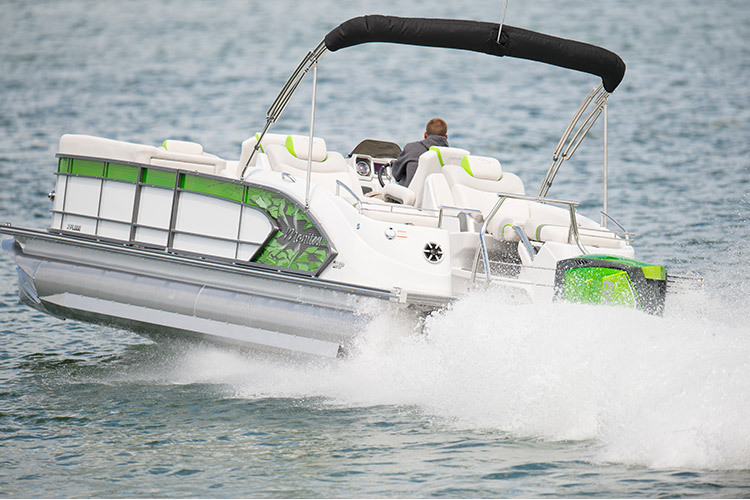 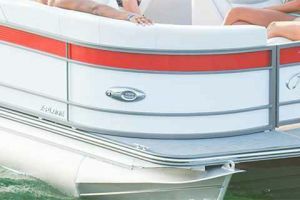 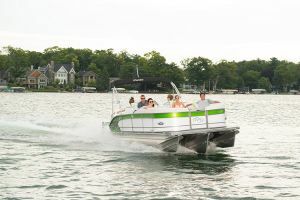 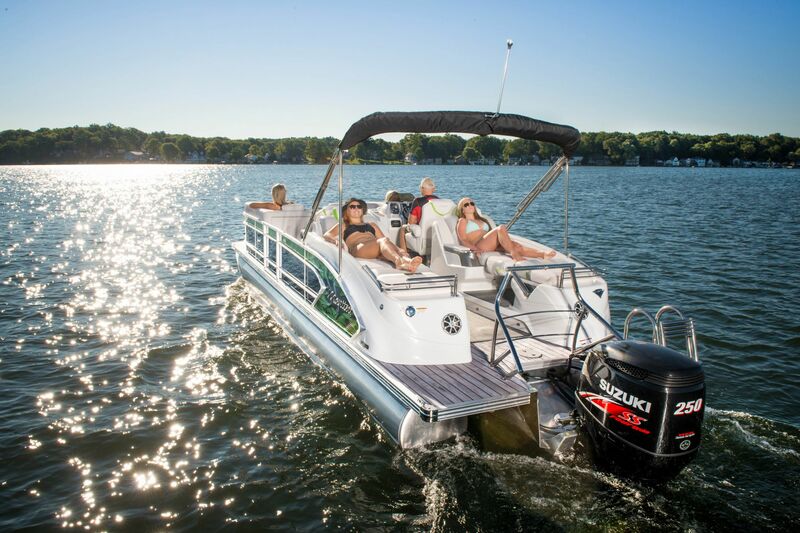 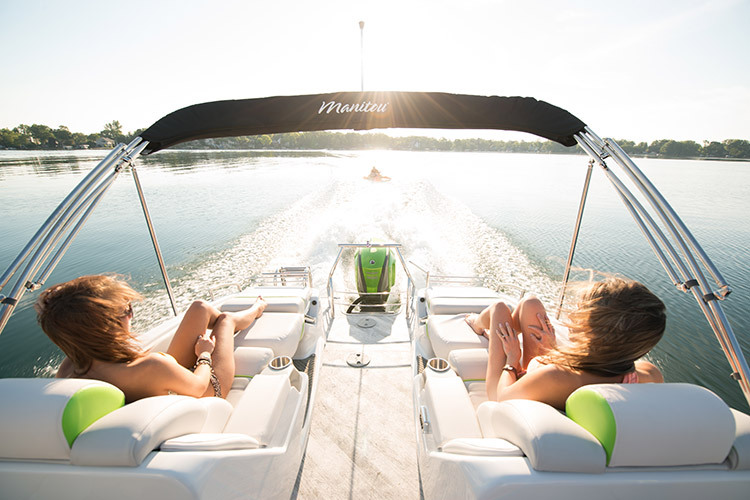 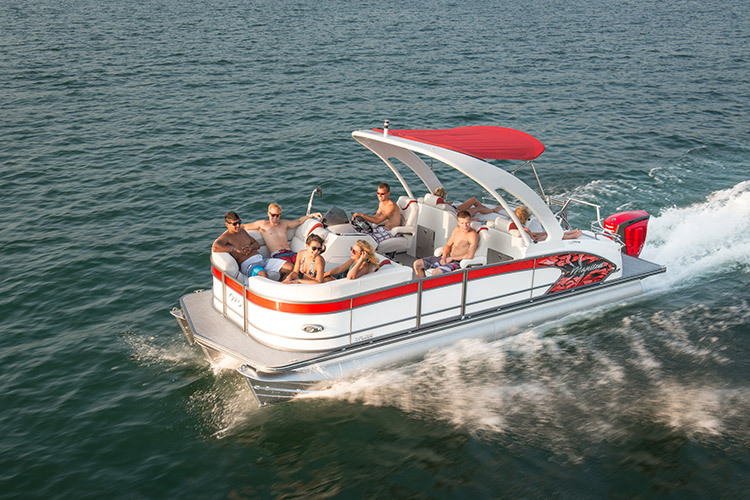 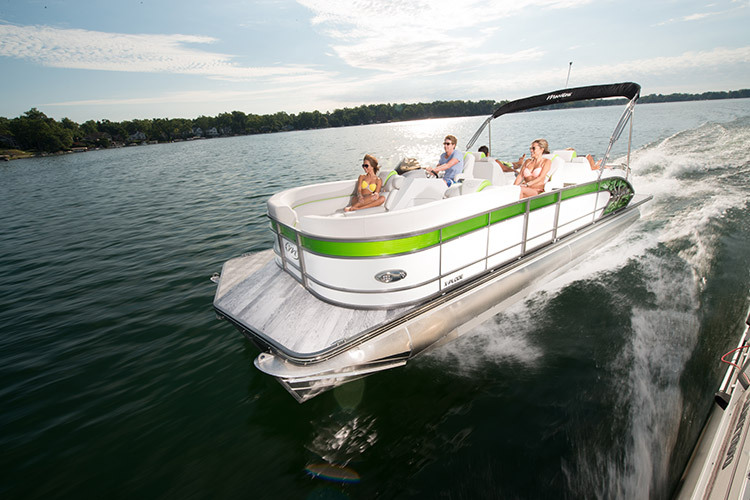 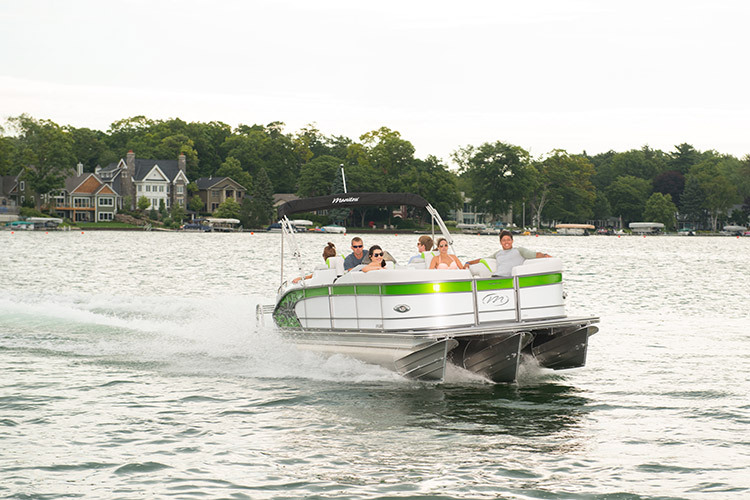 The X-plode is a high-performance pontoon from bow to stern, topside to hull. 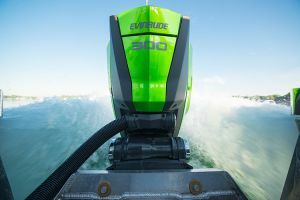 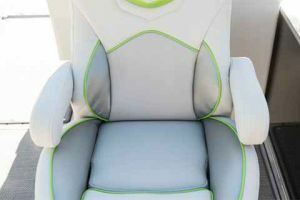 To compliment this claim, the X-plode features Standard Hydraulic Power Assist Steering and up to a 300 HP power engine. 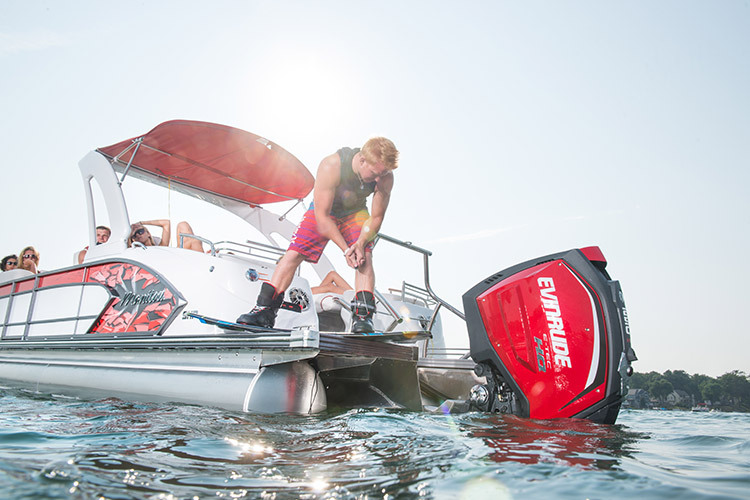 Lending it more than an ample amount of get-up-and-go. 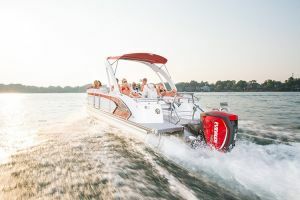 The new Manitou Smart Screen adds a high-tech touch to the helm, giving you instant access to water depth and temp, trim, volt, RPM readings, as well as GPS speed. 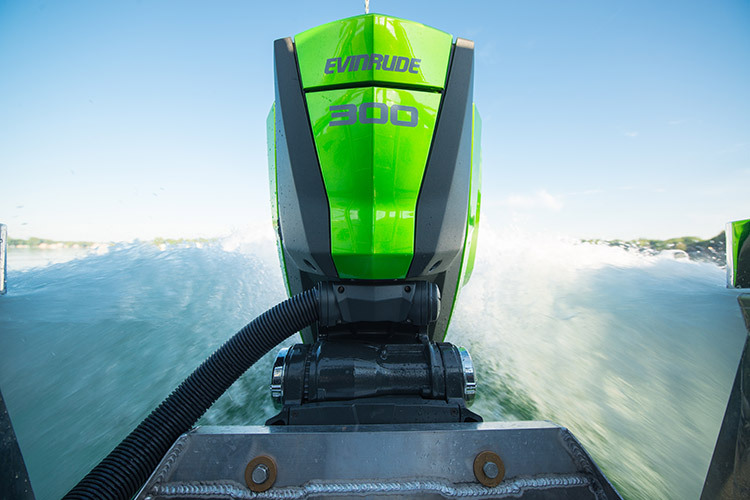 But, enough talk, let’s find some open water and give the X-plode a run.